I love eating home cooked meals. Not only can you save a lot of money, but I feel like the meals are usually more nutritious. One website I turn to for recipes is EatBetterAmerica. They have "healthified" versions of food you know and love. Recently, I tried their Chicken and Orzo Supper...and loved it! It was SO easy to make and Eric thought it was good. I had never tried Orzo before and was pleasantly surprised by it. It looks like enlarged rice, but is actually pasta. It was great that it could cook in the skillet with the broth and chicken and then by done in 10 to 15 minutes. Also, I love fresh veggies like zucchini in my meals. The canned Italian-style stewed tomatoes is an easy way to add flavor and another veggie. 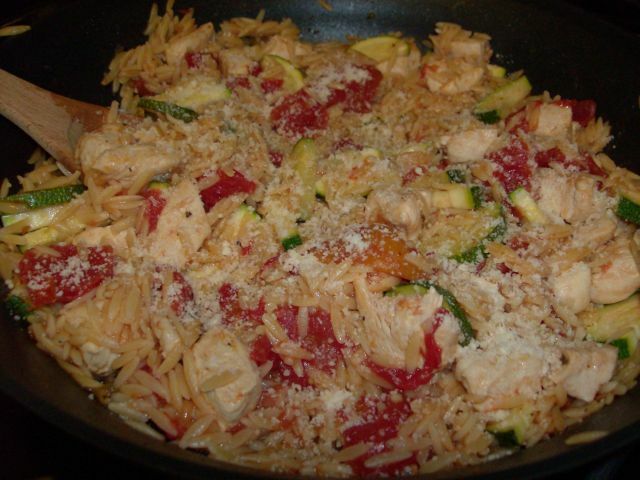 I suggest you try this recipe out next time you want to make a fast, delicious meal for your family! 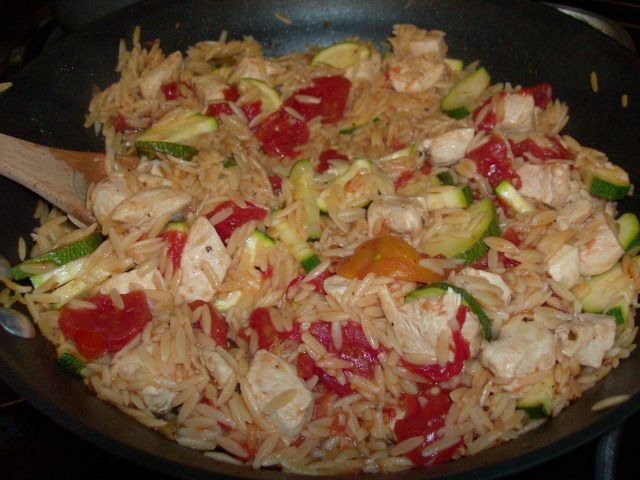 Chicken and Orzo Supper - CLICK HERE!